My 6 day residential course "Spoons from the Wood" is now fully booked, but please get in contact if you would like first refusal on the next course and I will email you as soon as I have the dates fixed (cost of this course is £420). (barnthespoon@hotmail.co.uk). 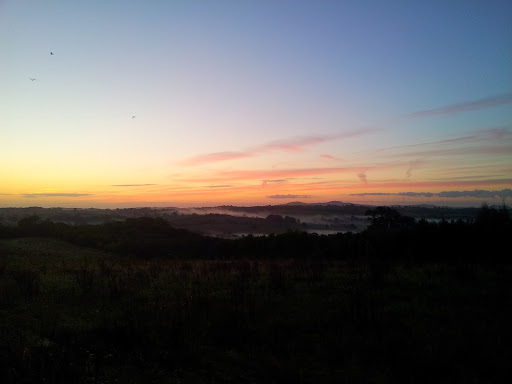 The photo is dawn from the "veranda", on the edge of the wood where I will be running this course, and is a beautiful view of the Malverns. I can't wait to be back there again.